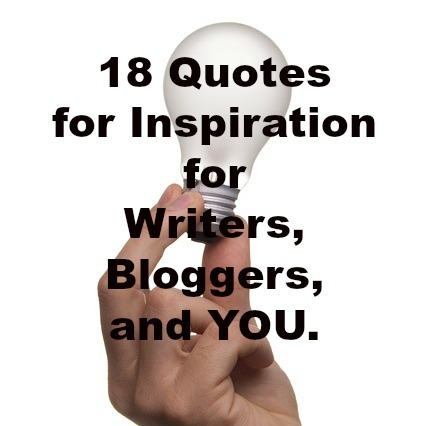 18 Quotes to Inspire Writers, Bloggers–Everyone. As I said, I’m a sucker for a good quote…and there are many here! The guy that came up with the Positivity campaign has a problem as he sits here and begins typing. He needs to think of something to write about. Part of the beginning an article with an idea yet to be developed is pressure to write an article that is specifically about a certain topic. I gave ideas for others involved to do if they wanted help thinking of something. I am contrary to myself at times. I wanted to do an article instead. I think I like to hear myself type. Now, here I am—writer’s blocked. As I typed those last two words, the idea came to me. There is something that gets in the way of all of us at times. It keeps us from being positive as often as we could. Did you see the words be positive all of the time in that last sentence?